M&R Custom Millwork, Inc. manufactures custom cabinetry for any residential or commercial application. For 35 years, we’ve built our reputation on customer service, quality and the attention to detail that makes the difference between us and our competition. We offer custom design services for a wide variety of commercial projects and our residential expertise includes both remodeling and new construction. You find custom millwork everywhere today – the reception desk in your office, the convenience center at your bank, the cabinetry in your home. All of these products can be designed and made to order at M&R. Our clients realize that a vision with out a vehicle is worth no more than the pencil used to draw it. Anything is possible but if it doesn't take into account your life style, budget, and threshold for change then a design is simply an expensive piece of paper. We create an atmosphere where the client can express their style. Our job is to bring it out and have a nice one-on-one with it. It is an exercise in honesty. Molly has been designing for clients in the Northern Illinois area since 2000. As a graduate of Harrington College of Design in Chicago. she is a professional member of the American Society of Interior Design and is licensed in Illinois to do residential and commercial interior design. As ring leader of the KannCept team, she enjoys working on projects that range in scope from new construction and commercial projects to color selection and ideas to get you out of your rut. 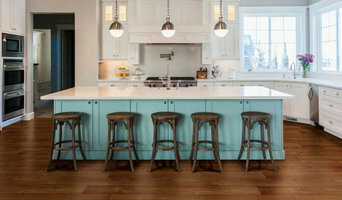 Let INDECO LLC Interior Design Company, help you coordinate fabric, paint, flooring, cabinetry, countertop, and tile to enhance the beauty of your home. Come and see our vast selection and competitive prices for every need and every budget. Whether you have a new piece of art or a treasured heirloom, we will help you personalize your space with colors to fit your needs; while incorporating current trends for your home. Making sense of your interiors by refining layouts, traffic patterns, and storage and restyling with updated countertops, cabinetry, and backsplashes, we can make any dreary and drab space in your home into something bright and fabulous that everyone can enjoy! Making your home-your sanctuary through interior design. I do color consultations to determine your color story and ensure your confidence to move forward in your projects. I have tireless energy to handle your specific decorating need. I assist in material selections such as flooring, wall covering, cabinets, furniture and decor. I also do redesign in which I will re-style your space with your existing furnishings by utilizing design principles to create a fresh more desirable look. I will be your best advocate in your renovation projects by defining your style and coordinating the best products/contractors to achieve your goals. My design projects focus on optimizing function while honoring your budget and transforming your home into your sanctuary. Teach ‘Em to Fish is committed to providing quality landscape services that encourage education, community involvement, and ecological awareness. Our exceptional quality is due to operation efficiency, active investment in our staff’s knowledge and expertise, and our implementation of the latest techniques and technologies. Andrew and Nathan have over 20 year’s combined experience in the horticulture industry learning and working at the highest levels of the trade. They saw an opportunity to overhaul the industry by optimizing efficiency, maximizing positive ecological impact, building a quality workplace, utilizing new techniques and technologies, and spreading their love of the outdoors through the education of their staff, customers, and community. Teach ‘em to Fish provides educational opportunities internally and externally with our lectures, programs, resources, support, and encouragement. We volunteer our labor and expertise to libraries, schools, park districts, and restoration projects in our surrounding communities. All of our operations are geared toward the betterment of our environment for both enjoyment and utility. Teach ‘em to Fish invests heavily in training our staff and giving them the opportunities to better themselves and their communities. They take pride in the high-quality services they provide. We offer our staff educational resources and opportunities to increase their knowledge and skill sets. Our staff is compensated well and in accordance with their qualification, ensuring high motivation and excellent customer service. Best of Houzz 2019! Specializing in residential Interior Design and Decorating for discriminating clients in Madison Wisconsin and surrounding areas. As the sole owner and designer I provide a holistic approach and personalized service to clients who want their homes to be both welcoming and stylish by creating functional rooms that reflect their lifestyle, as well as, beautiful places to entertain. I enjoy working with clients to create visually stimulating yet comfortable spaces while highlighting the homes best architectural features. I bring a personalized service to my clients ensuring that everything is done on time, on budget and to the highest level. 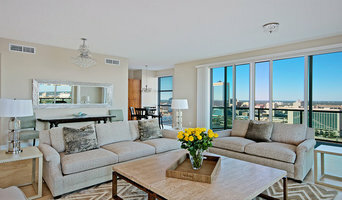 I love to transform clients' homes to fit their needs and lifestyles. My favorite spot in any home is the kitchen. It's where family and friends gather and connect with each other, cook together, and spend most of their time at home. Today's kitchens are connected to a larger living space and I love to unite all the areas in a home into a harmonious whole that suits the present and future needs of homeowners. I am your personal design consultant and walk with you through the entire remodeling or homebuilding process from concept to completion. I help clients to bring their budget and dreams together so they can live to the fullest in their home. I work in conjunction with builders and remodelers to ensure the project is completed to everyone's satisfaction. I provide design consultation, plans, and assist with material and product selections for any project. I can help people to visualize their new spaces with floor plans, elevations, and 3D perspectives. I am passionate about educating my clients about products, materials, and the process of building or remodeling so they can make informed choices with great design. *Authorized Waypoint Living Spaces Dealer* Larson Design is a "design/build" company that believes in merging good design with quality workmanship. Our goal is to create your space to reflect you and capture the essence of your lifestyle while implementing the laws and principles of interior design. Led by Sabrina Larson-Kunz, who has been practicing interior design for the past 11 years. After receiving her education in the greater Phoenix area, she started her career in Scottsdale, AZ. Being a Midwest girl at heart she returned to her "home" to continue her career. As of Jan 2017, Rory Larson, her father and general contractor/owner of Timberland Builders of Janesville, sold his company and is now part of the Larson Design team as project manager, bringing 40-plus years of experience with him. Together with their combined experience, they are excited to bring a design/build concept to meet the needs of their clients. 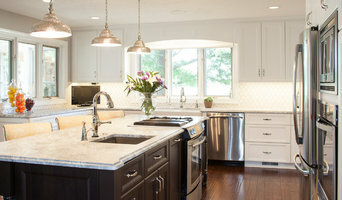 Their design/build services can range from a 1-hour design consultation to facilitating your entire remodel. Larson Design is proud to be a team of qualified tradesmen with a range of expertise to complete your project - from conceptual planning, to installation, to all the finishing touches. A locally owned company offering 70 years of combined experience in the industry. With our knowledge and your vision we can create the life style you have always dreamed of. We only uses licensed plumbers, electricians and sub-contractors. We are proud members of our community and offer a warranty on all labor and materials. Our fully insured team is friendly and respectful, and treats your home with the care it deserves. We believe "It's not about us. It's about you." From the very beginning, we make it our goal to build a great working relationship with you. Because of this, we maintain open communication with you throughout the project. Our team of professionals will work with you to create a schedule, budget, and scope of work that fit your needs. We operate within the budget you set and keep to a timeline that is convenient to your lifestyle. Finishing Touch Custom Woodworks, Inc.
Over half of our business is new construction. We provide a great opportunity for someone building a new home to make it uniquely their own. 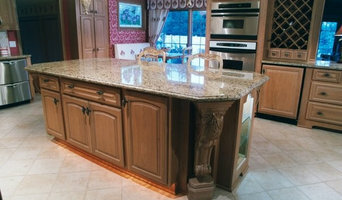 We build your cabinets in our shop to your specifications, needs, and wants. To help us get to that point we have designers with degrees in Interior Design ready to help you get what you want or perhaps figure out exactly what it is that you want. Sometimes your dream kitchen comes from remodeling your current home. The kitchen is one of the best places to invest in a home. The kitchen can increase the value of the home and you get the benefit of using the kitchen until you sell if you ever do. We are a residential design firm specializing in custom residential home plans, room additions and remodels. We provide complete, detailed home plans for all involved with the building process. We work one on one with our clients to build a team, listening and combining their wishes and ideas with our own to develop their ideal plans. We use a sophisticated 3D modeling software, allowing our clients a virtual view and tour of their home before it comes to life. Give us a call today to start your design process! JG Development loves to build. We build homes, we build commercial structures, we build places of worship, and we build more. But what we really love to build is intangible: trust and long-lasting relationships. We love what we do, and we want you—our customer—to love what we do for you. To that end, we’re a quality-focused organization. And to deliver quality, we offer the specific knowledge, experience and expertise your project needs through our four divisions: Brio Design Homes: Our new home building division Vive Home Transformations: Our home remodeling division National Construction: Our commercial division focused on projects that enhance communities NCI-Roberts Construction: Our division that builds and transforms churches and nonprofits What truly separates JG Development from other construction firms is the breadth of our capabilities, combined with our operational flexibility. We build everything from luxury homes to exquisite sanctuaries and sound community facilities. But true to our name, we also provide development and other services that make your project more integrated and convenient, like real estate guidance and investor support. And while our divisions focus on their particular specialties, they also call upon each other to deliver the quality craftsmanship and service we’re all known for. Just imagine: The master craftsman working on your home asking an award-winning commercial project manager for advice installing a rare material, or the commercial project manager working with a residential interior designer to achieve a truly custom feature in a library renovation. That’s the power of having JG Development at work for you. That’s the power of having a complete construction solution.